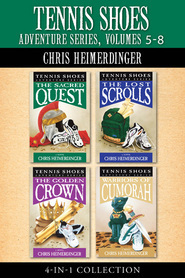 Surrounded by more than a million Lamanites and Gadianton robbers, Joshua, Harry, Apollus, Meagan, Garth, Steffanie, and many other favorite Tennis Shoes characters brace themselves with the Nephite nation for the promised day of violence and thunder. For four long years, the prophet Mormon has guided his people into making the Hill Cumorah an impregnable fortress against any adversary, but conflict and corruption among the Nephites threatens to undermine all of Mormon's efforts and make everyone — including our characters—vulnerable for disaster. 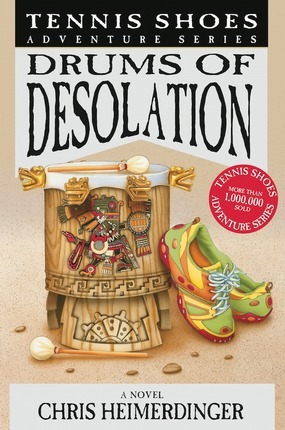 Drums of Desolation is a novel of herculean ambition, serving as a sequel not only for Tennis Shoes Adventure Series: Sorcerers and Seers, but also for Passage to Zarahemla and Escape from Zarahemla, combining characters and struggles from both of Chris Heimerdiner's epic series of Book of Mormon adventures. Featuring nail-biting suspense and nonstop action, Drums of Desolation stand as one of the most important fictional studies ever undertaken of the most climactic and heart-breaking episode in the Book of Mormon. Fasten up for the thrill ride of your life — an adventure that will carry you from the depths of despair to the glorious triumphs of the human spirit in the midst of one of the most complex and sinister centuries every experiences in the New World. I LOVE YOUR BOOKS!!!!!! When does book 13 come out? Couldn't put any of the books of this series down. 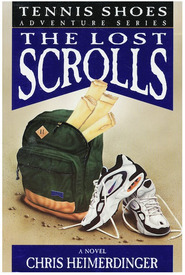 I have been following this series since the first printing in 1989. 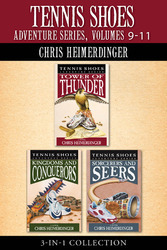 The series continues to thrill and entertain many readers including my family. I LOVE that it brings the scriptures alive and helps my mind grasp the stories so much better. I also LOVE the time travel aspect. How fun and intriguing it would be to travel back to Nephite times. The adventures continue in this EPIC tale as you travel through rifts in time and space into the land of the Nephites and the Lamanites....beware of the Gadianton Robbers! 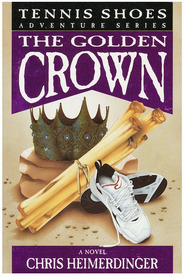 As the synopsis states this book combines characters from both the Tennis Shoes series and the Zarahemla series. 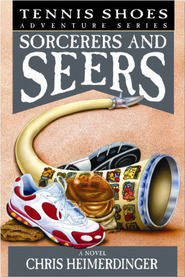 I highly suggest you read at least a few of the Tennis Shoes books and at least the first book in the Zarahemla series BEFORE you read this book. You will also find "chapter notes" explaining more details...which I really appreciate. I absolutely recommend this series for the entire family!